We recently had a speaker at our MOPS group that talked about the power of playing with our children (Cara Jakab, an author of "The Power Of A Playing Parent"*). I don't know what I was expecting from her message, maybe just a "play-with-your-kids-all-the-time-so-you'll-have-a-super-close-relationship" theme. That is great in theory, but not really practical. I don't believe it's even healthy to keep your kids so constantly entertained that they are not able to entertain themselves. So I went in not really sure if I was going to get much out of it, other than a nice dose of guilt that I don't play with my kids more often (I'm being honest here). 1. Mornings go better when you start with Bible time. I used to always do my personal devotions in the morning, but somewhere between the first child and the third, the desperate desire for sleep took over. For the last couple years I have been letting the kids wake me up in the morning. When I do that, I have to jump right into dressing and feeding three little people, and by the time I am finished all thoughts of finding a quiet place for morning devotions have evaporated from my mind. I have been trying for the last month to do better about getting up before the kids come traipsing into my room in the mornings. Even if I only beat them by fifteen minutes, I feel so much more rested and in control of the day when I start with a quiet time with the Lord. And on the days when I succumb to temptation and hit snooze, I can tell the difference. 2. 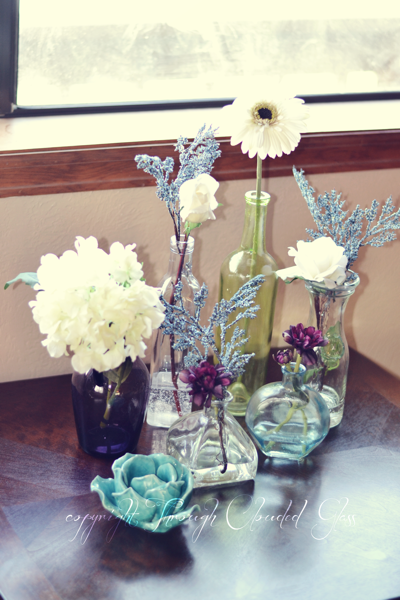 Flowers on a kitchen table bring the whole room to life. Why have I not been buying fresh flowers for the kitchen table for years? I was forced into buying some flowers earlier this month, then I was given some flowers for my last day of work (that's a whole other story - I'm sure I'll be telling you all about it soon). Between those two bouquets, there have been flowers on the table for most of the month - and I love it! It has brought a little springtime into my life while I wait for the outside to catch up. Pink flowers are my personal favorite, even though they don't go with my dining room colors. 3. Current country music stinks. I used to be a fan, I really did. Back when all the greats were in their heyday, when they sang about family and love stories and hometowns and love of country. But now every time I take a chance and turn the dial to a country station, all I hear about is drinking and hooking up and revenge and how some girl looks in tight jeans. No thank you. Let me know when country artists grow up again and use their words to portray something other than hormonal teenagers. Scotty Mcreery, you are the one exception that I can find right now. Stay wholesome. 4. That whole "hot coals" thing works. 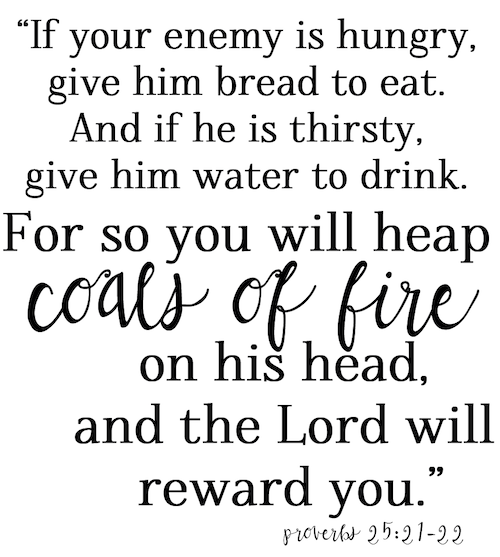 Here is the verse, just in case it's been a while since you've read it. I am not going to go into the whole story, but let's just say I felt a little wronged by someone recently (not my family, so don't think that). So I bought them food, just because, and you should have seen how nicely I was treated after that. Now don't go heaping coals on anyone's head expecting anything in return, because you won't always get seeming evidence of a change of heart. But you know what you will get? A reward from the Lord, and that is something special. Scripture is true, guys. 5. You can have a "midlife crisis" in your twenties. I always think of a midlife crisis as a time when you are having an identity crisis. Identity crises are not always tied to aging; they can happen any time a part of your identity is threatened or removed. I have been a little lost the last month or two, because I feel like part of who I am (dental hygienist) is no longer as certain as it has been for the past seven years. And this is a whole post that I have in my drafts, so stay tuned. 6. I have a book problem. 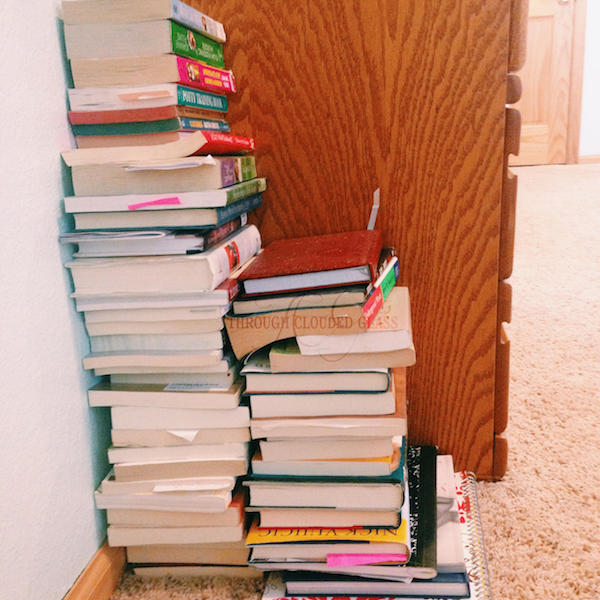 I am in the process of redecorating our room, and we bought a new bed and nightstands, which forced me to remove all the books from the "to-read" pile that had accumulated in my old nightstand. Those are all the books I have yet to read. And yet I still keep buying more. And signing up for more reviews. It's like a sickness. 7. Springtime doesn't have to be so bad. Usually I am not a fan of springtime, at least not where I live. The mountains get yucky and muddy this time of year. Spring has always been my least favorite season. However, this could be the year that changes my mind about springtime. It's been gorgeous outside for most of March and April, which is highly unusual. Despite the fact that the lack of moisture (i.e. snow) is concerning, I have to admit that I am finally starting to see the appeal of springtime. It's pretty exciting to see God's creation come to life like it has this year, and it makes me appreciate His creativity more! 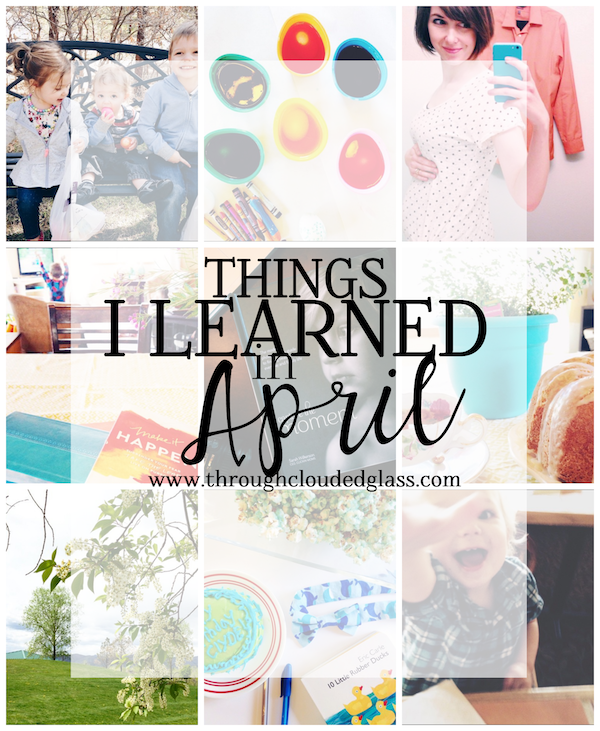 Did you learn any lessons in April? 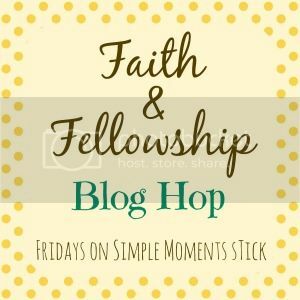 I am so thrilled to be co-hosting the Faith and Fellowship linkup with Susannah from Simple Moments Stick! I have been following Susannah's blog for a few years, and she now has an adorable five month old boy. She and I also have a mutual real-life friend (hi Ashley! ), and when I realized this, the song "It's A Small World After All" might have played in my mind. It's been so fun to watch Susannah's family and blog grow as I've been following over the years, and her Faith and Fellowship linkup is one of my favorites (and one of the few that I've actually participated in since Clyde has been born! If you have written any faith-related posts in the last week or so, this is the linkup for you! Check it out! 1. Link up a post (not just the link to your blog) from the week that shares what the Lord's been doing in your life or speaking to you. 3. Visit as many blogs as you're able and get to know your sisters in Christ! 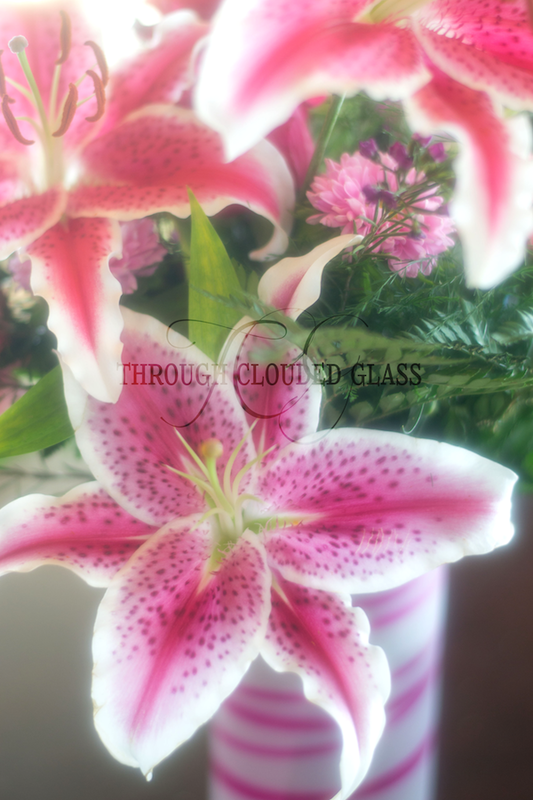 My name is Callie, and I blog at Through Clouded Glass about a variety of things, like pregnancy, motherhood, DIY attempts, and recipes. However, my main goal for my blog is to share my faith in Jesus Christ through what I write and to encourage other women to focus on their impact for eternity, even through the day-to-day (and sometimes mundane sides) of life. 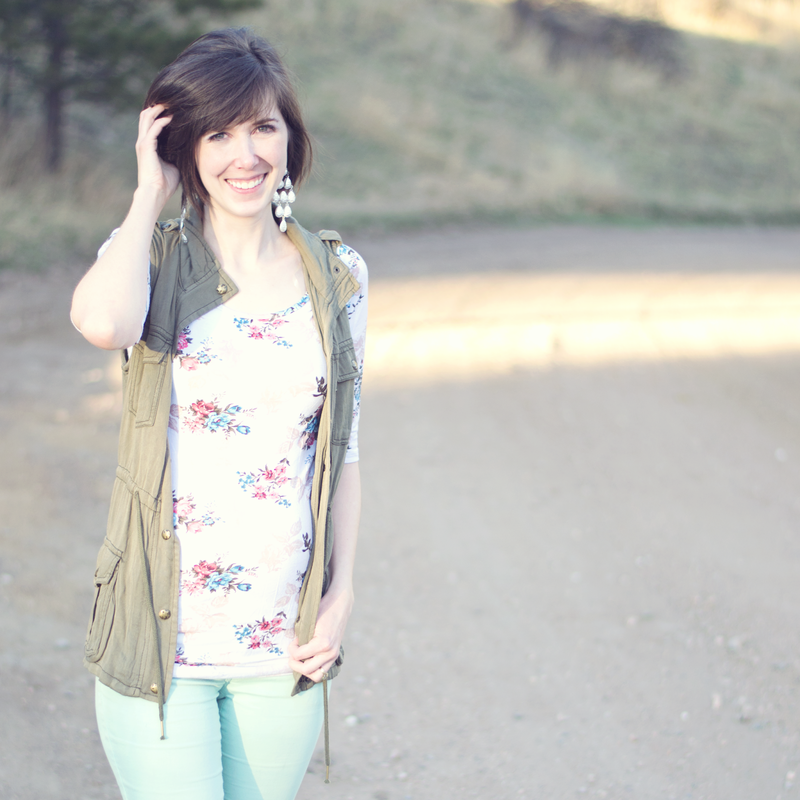 When I saw the announcement for this "Speaking Life" linkup on Whitney's blog (which you should most definitely check out - she's one of my new favorites! ), I knew I wanted to participate! Lately I've been realizing more and more how my words and attitudes matter and can make a huge difference in my relationships, especially in my marriage. I could sit here and write about gossiping, keeping complaining in check, encouraging others, etc. All those topics are good ones and worth writing about. But the bottom line is that what I say is a reflection of what is in my heart. If my heart isn't right, there is no way for me to learn to "speak life" to others. It isn't going to happen. Even if I do succeed in using my words to build up in one setting, the ugly overflow of my heart will spill over in some other setting. I mentioned a couple weeks ago that for me, the ugly spillover usually ends up being in conversations with my husband and mom. That ultimately it's not healthy for me or for them, and it's definitely not honoring to God. The problem with this heart spillover is that it's not something I can change by sheer force of will. Humans cannot change their own hearts. If we are going to get better at using our words for good and not for harm, it has to start with heart change. And heart change has to start with honestly recognizing what is in our hearts, and taking all the ugliness to the Lord. Asking Him to fix it. 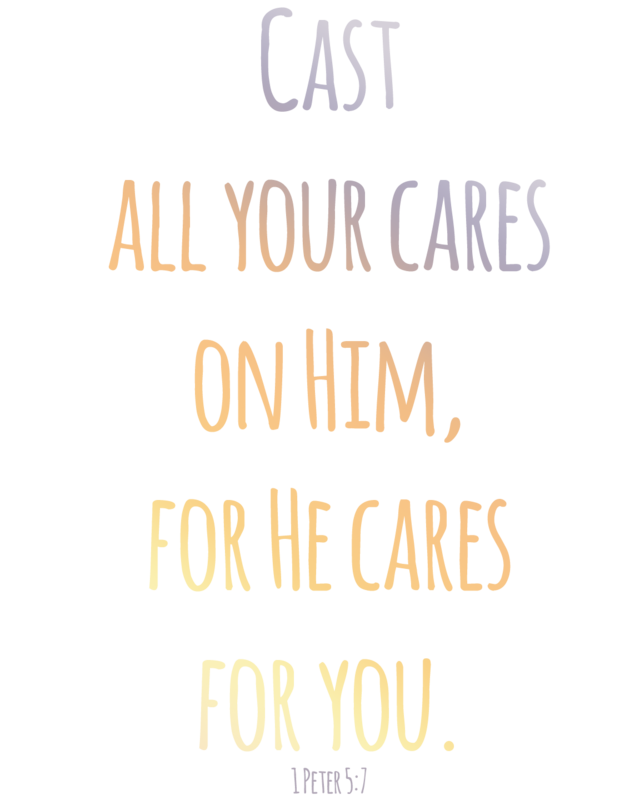 He is the only one who can. When your heart is in a good place, when you give up any lingering bitterness or jealousy or unforgiveness or selfishness . . .when your true heart's desire is to honor Jesus and show love to others, good things will spill out of it. And speaking life will be natural. That's the place I want to be. The theme for this week's linkup is Mom and Me! So basically any posts with pictures of you and your kiddos will qualify. I decided to cheat a little and use these pictures for my Project 52 pictures for the week and for the From My Kid's Closet linkup! Clever of me, no? 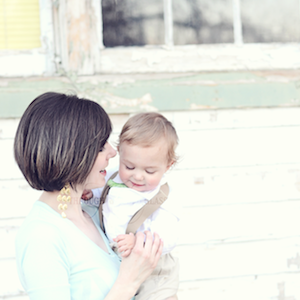 I haven't had any good pictures taken with me and the kiddos in a while, so I had Derek take some new ones on Sunday! Pants: I want to say Kohl's. Shoes: Gift from my mom. I like them because they look like Converse, but I think she got them from Walmart, which is a-okay with me! No way I would pay full price for real Converse shoes when Wyatt will outgrow them in a couple months. Hat: Gymboree. Wyatt loves wearing his hat lately, I think because it looks just like the hats his dad wears! Dress and Bloomers: Children's Place on clearance last year! I found out we were having a girl and I wanted to get something for her. And we went sans shoes because I didn't have any that matched. Shoes is on the list of things to buy for Gwen's fall wardrobe. Dress: Target. I bought this maxi dress at the beginning of the summer, because I loved that it had sleeves, and the top part is loose enough that it's nursing friendly! Shoes (that you can't see): I didn't get a picture of the shoes. But they were neon coral sandals, and they cost me $8 at Forever 21! I think that's pretty good for shoes. Earrings (that you can barely see): Tiny little spikes from Forever 21. Wow, and would you believe it that Wyatt's outfit was the most complicated this week? That's what happens when Gwen and I wear dresses, I guess. Nice and simple! Okay, go ahead and review the guidelines here and link up your posts below! Also, a quick announcement - both Allison's and my schedules for the fall are looking pretty crazy, so we decided to put the linkup on hold for now. It will most likely be back in a few months. Thanks to everyone who has participated so far, and be sure to follow Allison's blog for future news about the linkup (and you should follow her anyway, because her blog is amazing)! Welcome to More Peas, Please! The baby/toddler food link-up I'm hosting with Melanie at Country Roads! 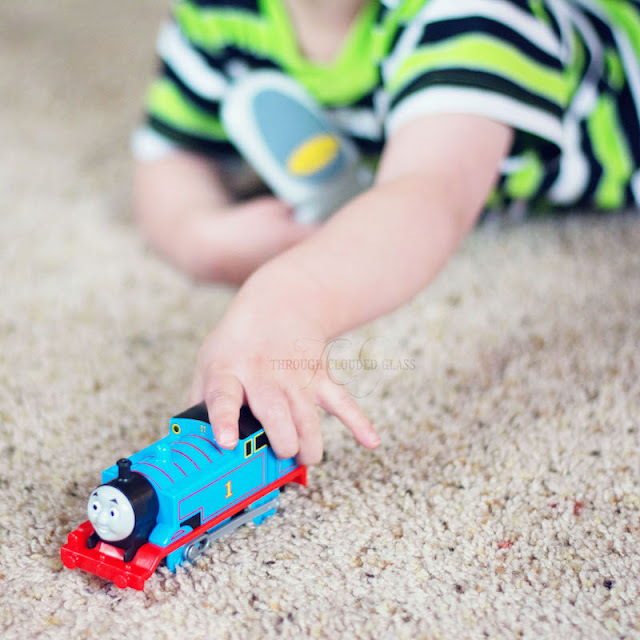 For more details you can check out this post, but this is a link-up for posts that have anything to do with what you feed your toddler or baby! 1. Choose a post you'd like to include or write up a new post. 2. Grab the button or add a text link to the post you'd like to include. 3. Link your post up below! Please use the direct link to your post, not just a link to your blog. 4. Visit some of the other posts and get more ideas on what to feed your kiddos! Be sure to stop by and say hello to Melanie and thank her for coming up with the idea for the link-up! Alrighty, on to the topic at hand. "More Peas, Please" is probably a misleading title when it comes to our little family, because Wyatt hates peas. Even when we first tried some pureed peas almost a year ago, the poor thing gagged and almost threw up. It was so sad. I kind of suspect that the pea incident is what spoiled him toward green things in general. If it's green, Wyatt is usually not interested. We have a few go-to meals for feeding Wyatt, partly because I have a hard time coming up with ideas of what to feed him (hence why this link-up will be helpful! ), and partly because the kiddo has developed some very specific likes and dislikes. And if he dislikes something, he will sit there and ignore it until I finally throw in the towel and take him out of his high chair. I'm hoping this will improve as he gets older, when I can start telling him that he has to eat his vegetables (or whatever) before he gets anything else, but for now he wouldn't understand that and I just have to feed him something that he'll actually eat. Any type of pasta will do, but spaghetti is probably his favorite, with mac and cheese as a close second. He'll also do alfredo. He'll almost always go for a cheese queasadilla. Sometimes Derek will make hims really good one on top of the stove, but most of the time when I resort to quesadillas we're in a rush and I'll just through a tortilla in the microwave with some cheese - Wyatt loves it. Good for getting that protein in, and it's pretty adorable to see him holding his little wrapped bean burrito and taking bites out of it! I just love watching him eat in general - it's so cute! Also good for the protein! I don't think Wyatt has ever turned down cottage cheese. He'd probably eat a whole container in one sitting if I let him. Cheddar, pepperjack, colby, you name it. He hardly ever turns down cheese! I'm afraid I'm over-doing the bananas, but it is literally the only fruit he will willingly eat right now. I think I ruined him to all pink/red fruits by giving him a tart strawberry once, but I have high hopes that one of these days he'll give it a try again! This is good because it counteracts the bananas, if you know what I mean. The kid is always in the mood for a cracker. Sometimes he'll even bring me the box, hold it up to me, give me that big-eyed look, and say "cracker?". I can't turn that down! It's okay, because crackers are a good snack. Graham crackers are his favorite, but animal crackers or Wheat Thins are good too. This is how we get our fruits and vegetables in. Plus I buy the V8 fruit/vegetable juice blends to try to sneak some in that way too. Please don't give me a lecture about how whole fruits/vegetables have more nutrients in them - I took nutrition classes, trust me, I know. I have to work with what he'll actually eat right now, and this is it! He usually likes any of the rice dishes I make - broccoli and cheddar rice, red beans and rice, etc. This is a vegetable, right? If I cut it up in little pieces he'll usually eat plain old chicken pretty well. This is also a good option for out and about because Chic-Fil-A sells a kids meal with grilled chicken nuggets! It makes me feel so much better to feed him grilled nuggets instead of fried, and he loves them. It's hit or miss, but he'll usually eat yogurt pretty well, especially if he sees me eating it! I over-did these for a while and he wouldn't touch them after that, but I tried it again recently and he liked it again. I try to get the Simply Fruit jelly because it's only made with fruit (no extra sugar and all that), and it's a way for me to sneak more fruit in his diet. Hit or miss, but sometimes he loves it. The only other fruit that Wyatt will occasionally touch. Frozen, canned, fresh - it doesn't matter. He won't touch them. There was a time when he would eat sliced carrots, but that was many moons ago. He'll sometimes eat corn, if he's in the mood. Once he ate a whole serving of broccoli salad voluntarily. But that's about it. All I can do is keep trying and hopefully one of these days he'll decide veggies are alright. Except for bananas and occasionally melons, he just won't eat fruit. It's a shame too. I've tried many different kinds, and he is usually just not interested. I feel sure this has got to change soon - I mean, what kid doesn't like fruit? Maybe I should disguise it with some jello or something. And that about wraps it up! He obviously eats more things than just the things I listed, but those are our regular meal/snack choices, at least right now. So I'd love to hear, what do you feed your toddler? Any other moms with picky eaters out there? Any ideas for sneaky ways I can get more fruits and veggies in? Write up a post and link-up below! 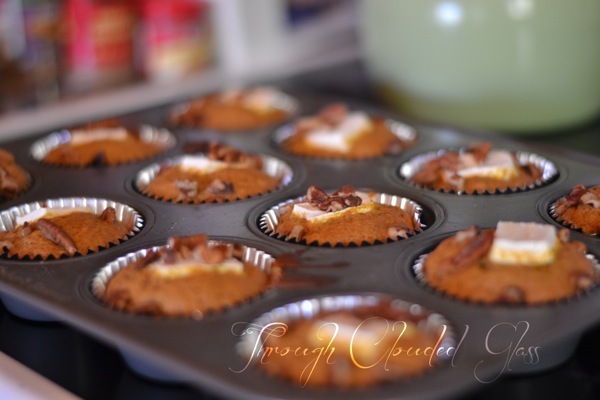 I'm linking up with Nicole again for her PINspired monthly link-up! See that fancy lettering for our gender reveal chalkboard? I didn't do those free-hand, I used this chalkboard lettering tutorial. Basically you print up the font you like, cover the back of the paper with chalk, and then place it on the chalkboard and trace it with a pencil. Then it leaves an outline that you can color in! I was skeptical, but it worked like a charm! Ignore my headphones, I was in the middle of listening to a podcast when I remembered I needed a picture. 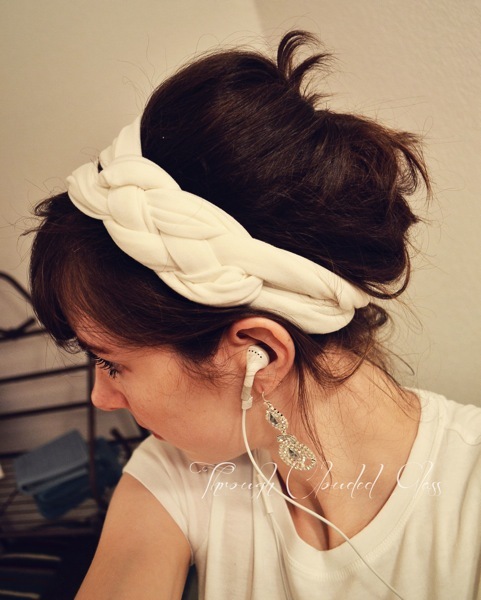 I made this knot headband using this tutorial - it was really easy, and I love the way it turned out! I have plans to make more. One thing I did differently though was that I sewed the ends together after I tied the knot - I didn't want to have to tie it under my hair every time, so I just fit it to my head and sewed it together. I also made these Starbucks-inspired pumpkin cream cheese muffins, which I also posted about here. And they were good. I tried them again though and tried adding sugar and vanilla to the cream cheese (got the idea from a different recipe for Starbucks pumpkin muffins), and it was better, I thought. It softened up the cream cheese more and gave it a touch of sweetness, which tasted better for inside a muffin. I think there were a few others, but I'll stop there. Have you all done any Pinterest projects lately? P.S. Don't forget about our toddler food link-up next Tuesday! Seriously, I need ideas, so be thinking about what you feed your kiddos and then link up a post! What To Feed My Toddler? Link-Up! I have a really hard time thinking of things to feed Wyatt. I just do. I'm not sure why this is, but we get stuck on the same old foods, over and over again. It doesn't help that Wyatt is a bit of a picky eater right now, but I'm trying to think of more things that I can try to feed him. And honestly not having much luck. That's why when Melanie at Country Roads mentioned doing a link-up on foods that we feed our toddlers, I was all for it! 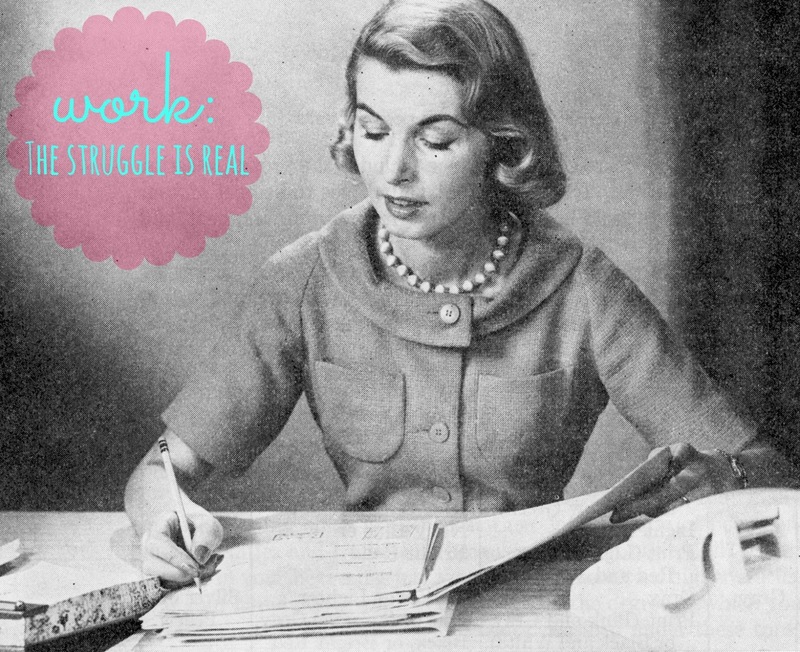 I'd love to get some more ideas and share about the things that actually do work for us! So on October 2nd, Melanie and I will be co-hosting a link-up on the subject! Any post that you want to write about baby and toddler food will qualify for the link-up! Do you make your own baby food? Tell us about it! Do you have a balanced menu planned out for your child from day-to-day? Please share your secrets! Do you have a picky eater? How do you get them to eat what you offer them (or are you still trying to figure that out)? Share some tips (or feel free to ask for some advice)! Is your baby too young for solids yet? Describe your baby-food plan for when they start! Do you know of some great recipes or ideas for kid food? Share! Are you stuck in a rut like I am? Tell us what your go-to meals are and then browse for more ideas! I'm really excited to see what you all feed your kids regularly, because I'm really hoping to glean some ideas from all of you! So if you have a kid who eats, write up a post about what you feed them and link up on October 2nd! Today is the day guys! Today is the day we find out whether we're having a boy or a girl! Around the time you are (most likely) reading this, we will be sitting in the waiting room of my doctor's office, getting ready for our ultrasound! 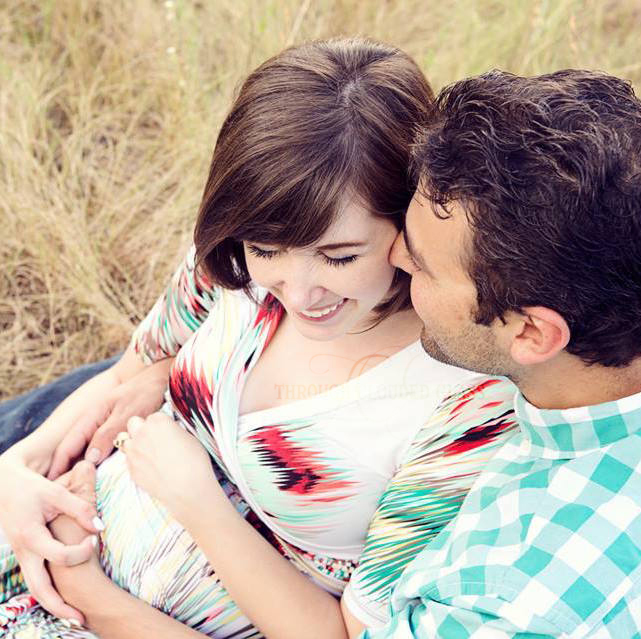 Please pray for a healthy baby (most importantly), and also say a little prayer that he/she will let us take a peek. 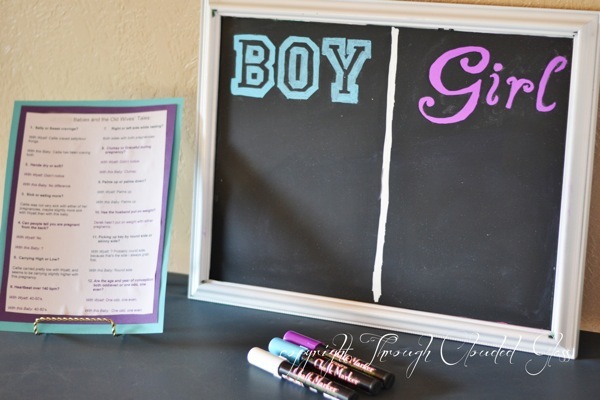 Because it would kind of put a damper on our gender reveal party if we didn't actually know the gender. I've been talking a lot lately about the projects I've been working on around here, and a lot of the ideas I've gotten for projects are from Pinterest! So I'm linking this up with Nicole's monthly Pinspired link party (which actually starts tomorrow, but I'm getting a head start). It's where we all show off the projects we did that involved Pinterest in some way and tell how it went. It's also good motivation to actually do some of those projects. So you know those bottles I put in my living room? That was a DIY project. Below are the steps I went through. Step One: Find some bottles. I kind of had an idea in mind of what I wanted to do, so I went to the thrift store in search for some cheap glass bottles - and I wasn't disappointed! There was a lot to choose from. I would recommend to snag the pieces you want right away though. I saw a bottle that I really liked, but I didn't buy it right away. After I decided I just had to have it, I went back the very next day - and all the shelves where the glassware had been the day before were picked clean. There were also middle aged men hunting through everything that remained. It was like an episode of American Pickers: Thrift Store Edition. I was seriously annoyed that one of these "pickers" seemed to have snagged that glass bottle. Because it would have been perfect, you know. However, I did manage to find some other bottles that would work, and the prices were all 2 dollars or under, so it worked out well. Step Two: Color the glass. I knew I wanted the glass to be colored though, so I found this tutorial for making your own colored glass. I tried it and I was really happy with the results! If you look closely you can see some of the brush marks where I painted the bottles (I did the blue and green ones - I just got lucky and found the purple vase at the thrift store). I think if you want to avoid having those brush marks you might try putting the mode-podge mixture inside the bottles instead and rotating it until it covers the whole surface. You'll need a lot more mode podge with that method though, and it wouldn't have worked for my purposes because of the next step. Step Three: Give fake water a try. 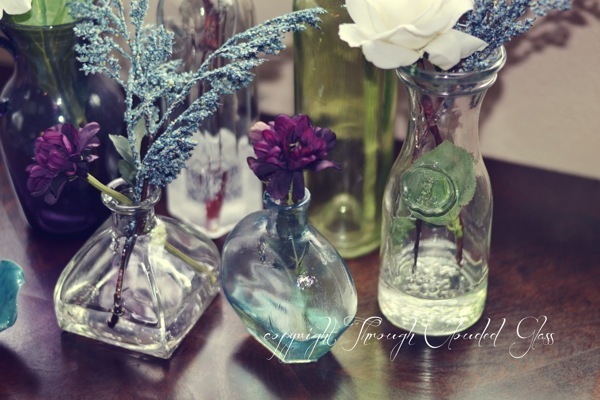 After I applied the mode-podge mixture and the bottles had dried to give them that nice colored-glass effect, I decided to arrange some flowers in them. I bought a fake water kit from Hobby Lobby, and some flower stems, and got to work. The fake water was really interesting to work with - it comes in a bottle and you just boil it until it's liquid, and then pour it into the vases/bottles and arrange your flowers from there. Then the substance hardens into a gel and holds the flowers wherever you placed them. I think it actually looks pretty cool! And supposedly if you decide you want to use the "water" in a different vase, you just have to re-boil it and it'll go right back to liquid. I will say that if you try the fake water thing, make sure to apply some sort of sealant over the flower stems (I just used mode podge again), because I guess the colors from the stems can bleed into the water. So unless you are going for a muddy water look, sealing them is a good idea. Step Four: Arrange, and pat yourself on the back! Overall I'm really happy with the way my little arrangement turned out! It fits right in with what I was going for, and it was fun to be able to personalize my living room decor a bit. If you've done any Pinterest projects lately, don't forget to link them up on Nicole's blog tomorrow! My final tip would be do know when it’s time to let someone go. This “tip” is less on friendship itself, and more on keeping your sanity and dignity when a friendship is just not working. You should not be the only person making an effort. You should not have to deal with repeated backstabbing. You should not have to deal with repeated insulting or insensitive comments or actions on the part of your “friend”. Some people are not good friends, and will never be good friends. Some people forget how to be good friends. You do not have to keep trying to be friends with someone who is repeatedly hurting you, intentionally or neglectfully. Sometimes you need to let them go. It doesn’t mean you aren’t being a good friend. 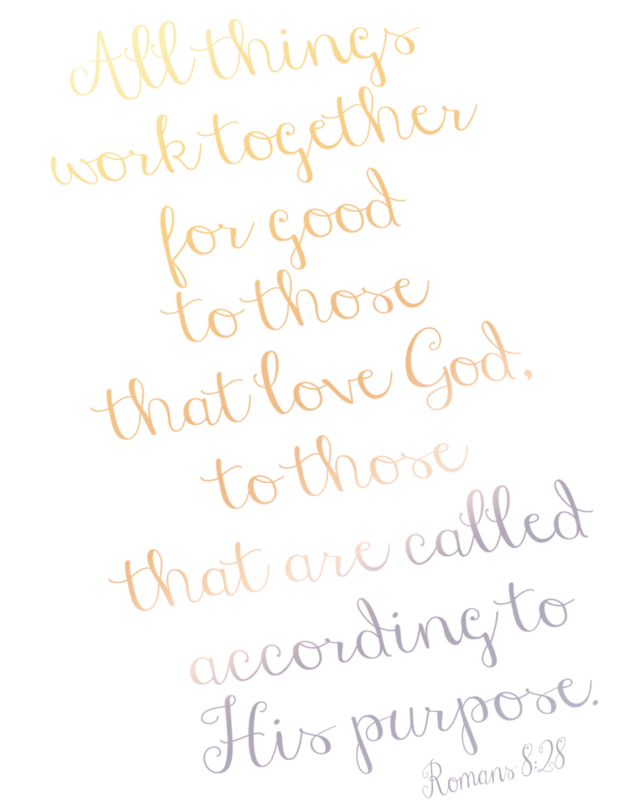 It doesn’t mean you can’t still love them as we are called to love others in God’s Word. It just means you have self-respect. You shouldn’t have to “beg” to be someone’s friend when they are making no effort in the friendship. You don’t have to keep subjecting yourself to pain if your “friend” repeatedly does hurtful things. You shouldn’t do that to yourself. These are not things that friends do. Move on, and invest in some healthy friendships. Invest in those who care about you and who want to be friends with you too. Those are the friendships that will last, and those are the friendships you want. When do you know that it’s time to let a friendship go? I’ve had such a fun time doing this series on Friendship, and reading all of the posts you guys have written as well! I feel like there is so much more I could say on the subject (and I’m sure so much more you could say too). Who knows, I might write more on friendship in the future and “add” it to the series. If you all still have something you want to share about friendship, you have until the end of this week to add your link! 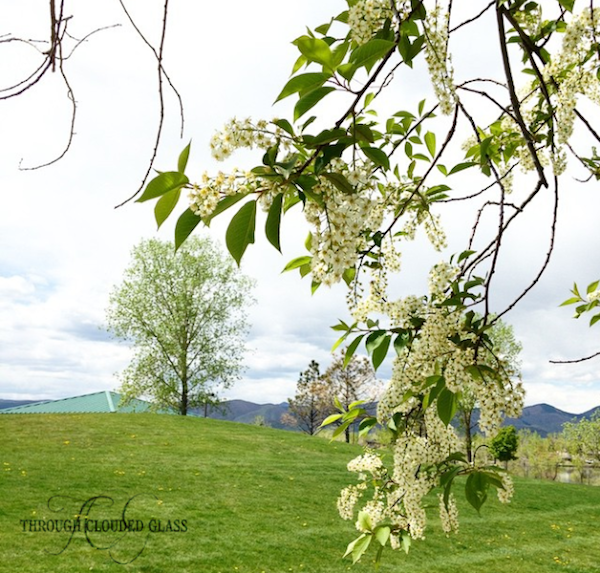 Thank you to everyone who decided to link-up – so many wise tidbits from all you ladies. I enjoyed reading every one of your posts! When I started this series on friendship, I knew that one thing I wanted to cover was gossip. Up until recent years, I didn’t have that much experience with gossip – maybe it’s partially because I was homeschooled, and not all of my friends were in the same circles – and that cuts down on a lot of the opportunity to gossip. This was actually a pretty big blessing, because it made those growing up years so much more bearable. But as I’ve grown older, gotten involved in a bigger church, and met more friends who all seem to know each other, I’ve noticed it more and more, and it becomes more and more of a temptation for me as well. But it has also become more apparent to me why this is such a big problem, and why it should be avoided for the sake of my friendships. Maybe we should start with a definition. I like that definition, because I think it makes it clear not only what gossip is, but also what it is not. If someone’s name comes up in a conversation and the conversation quickly turns to everything that’s going on in that person’s life? That would be gossip, and it’s especially bad when the life occurrences that are mentioned happen to be more personal. If it turns to what this person supposedly said to another person? That would be gossip too. But if a person’s name comes up and the conversation turns to what a sweet, creative, smart, fill-in-the-blank-in-a-positive-way kind of person they are? If the conversation turns to how good they are at their job, how cute their kid is, how nicely their house is decorated? If you haven’t seen the person in forever and you ask how they are doing? I don’t think that qualifies, because it’s not idle, it’s not rumor, and it’s not too much information. To me, when someone is gossiping about someone the conversation will have one or more of these characteristics: it will be negative, it will nosy, or it will unnecessary/not useful. And it may be unconfirmed or untruthful (though that’s not a requirement). So now that I’ve clarified a bit about what I’m talking about when I refer to gossip, I think there are a lot of reasons to avoid it. Gossip separates close friends (Proverbs 16:28). Julie recently wrote about a story that really illustrates this well. When you know one of your friends has been talking about you behind your back, it’s inevitably going to form distance in your relationship. If you value your friends, you won’t talk about their business to other people, especially not in a negative way. You can’t be close friends with someone that you don’t trust. Which brings us to the next point . . . Gossip makes you an untrustworthy person (Proverbs 11:13). I’m not going to trust someone with my personal business if I know they’re just going to pass it on to someone else the first chance they get. Unfortunately I have known a few people like this. One of them (who is no one who reads this blog, so don’t think it’s you!) is the sweetest person – but I try not to tell her anything that I wouldn’t want my entire extended acquaintance to know. Which is a pity, because it’s sad to have to censor myself with one of my friends like that, and it prevents us from getting closer. The others that I know who are this way . . . well, I avoid them all together. It’s going to cause you to miss out on some friendships. People don’t like to be gossiped about. I know I don’t. So if I know someone is constantly talking about other people? Well, I’m not going to seek out a friendship with that person, because the next thing you know, she’ll be constantly talking about me to other people, and who needs the drama? I don’t think it’s wrong at all to avoid a gossip this way – it’s something Proverbs even tells us to do (20:19). It’s going to hinder your current friendships. Even if you don’t gossip in such a negative way that it hurts your friendships (as I mentioned in my first point), even gossip that seems “harmless” is going to keep you from achieving a level of closeness with your current friendships. I think sometimes certain people might gossip because they think it will bring them closer to the person they are talking to, provide some sort of connection. But that’s simply not true. If I know someone likes to talk about other people, it’s going to make me think anything I say to them could be passed on to others. And if I think something I say to someone has a good chance of being passed on to someone else, I’m just not going to want to tell that person anything too personal. Gossip keeps friendships stuck on a superficial level. Spreading lies about others is just as bad as lying about them yourself. One of the things that might qualify something as gossip is if it’s just a rumor, or it’s not confirmed as true. You shouldn’t spread information about your friends even if it is true, for all the reasons mentioned above, but it’s especially damaging to spread words that aren’t true. You are participating in lying about other people. That is serious. And even if you didn’t start the rumor, do you think the person who is being rumored about is going to make the distinction? I wouldn’t. Spreading that rumor is going to have the same negative effects on your friendships that I mentioned above, only they’ll be magnified that much more because you not only gossiped, but you gossiped about something that wasn’t even true. The level of hurt and distrust just doubled. You catch a lot more bees with honey than with vinegar. I changed it to “bees” rather than “flies” because I think it’s a lot more flattering! I already talked about how gossip can cause you to miss out on friendships, or hinder your current friendships. The only exception to this might be with other people who like to gossip, but considering everything I already mentioned, are other gossips really worth being friends with anyway? I think you are going to attract a lot more worthwhile friendships if you always have a good word for your friends, as opposed to constantly gossiping about them and their business. Why wouldn’t you want to be friends with someone who looks for every opportunity to encourage her friends or build them up to others (1 Thess. 5:11)? Why wouldn’t you want to be that kind of friend? That kind of friend attracts other quality people, and that is the stuff that true friends are made of. There is one last reason why we should avoid gossip. It doesn’t have as much to do with friendship, but it is huge for those of us who are Christians. And it’s that gossip is something that displeases God. Just read Proverbs and you’ll see so many verses on how damaging a gossip can be. We are told so many times to encourage one another (Heb. 3:13, 2 Cor. 13:11). We are told to mind our own business (1 Thess. 4:11). We are told (in Ecc. 5:3) that many words (I think this would include many words about other people) is one of the marks of a fool (ouch!). There are so many places in the Bible where gossip is condemned and more godly actions are encouraged. So the biggest reason why we should avoid gossip? Because we should want to live our lives in a way that pleases God. And gossip has no part in that. If you have any thoughts on gossip, or any other friendship tips, comment below or write a post and link-up! I’d actually especially like to hear about ways that you avoid listening to gossip, since that’s not something I covered in this post (and I could use the tips for myself). Last week is the last week of this link-up, so if you have anything you want to say that’s related to friendship, you have until the end of next week to link your posts up below!